Volute | Leah Palmer Preiss ~ Curious Art: Velutinous: Acrylic painting on canvas, 6x6"
Ring up the curtain! 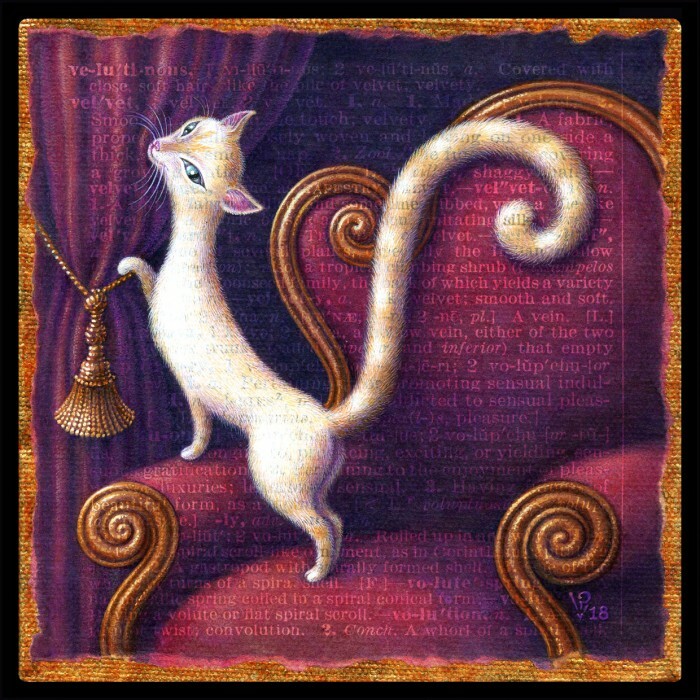 Velutinous: Acrylic painting on canvas, 6x6"
This one appealed to me instantly, as I’ve always loved the luxurious texture of velvet, & I immediately thought of cats with their velvety fur & their natural affinity for claiming the most voluptuous spot in the house. Not to mention their convenient ability to pose in an elegant V shape, complete with volute tail! (Yes, all those lovely V words appear in the background text of this painting, scanned from one of my antique dictionaries.) I threw in a few volute accents on the Victorian armchair in the background, just for extra visual rhythms & because I’m a maximalist by nature. The original painting & prints thereof are available in my Etsy shop, Curious Art Lab. I’ll be adding more A.Word.A.Day paintings there as they appear this week, & you can also find past A.Word.A.Day words here. And if you’d like to see work-in-progress pictures such as the one below, along with the occasional process video, please follow me on Instagram! 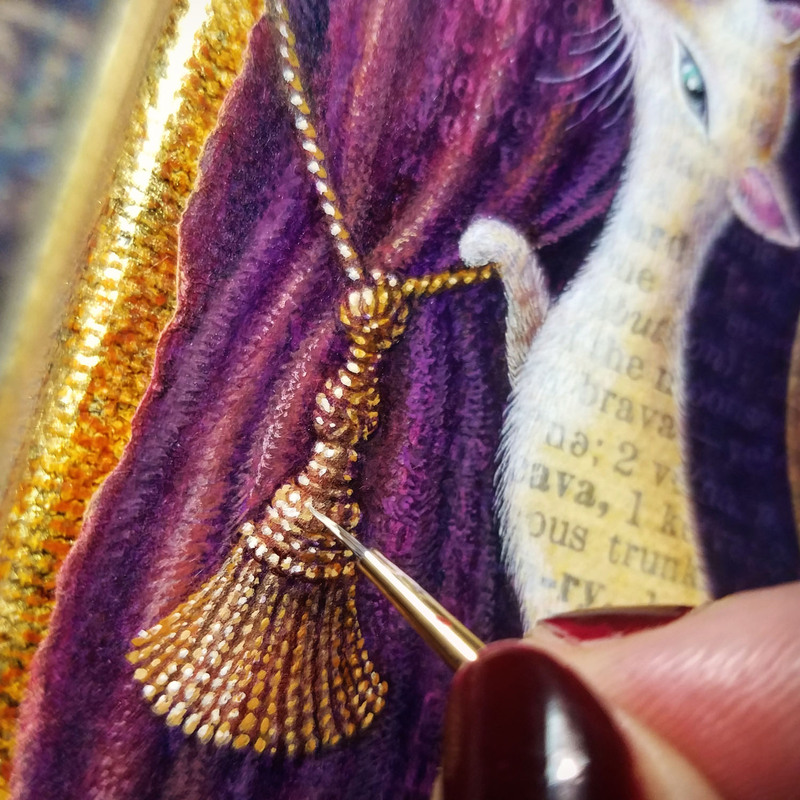 This entry was posted in A Word A Day Illustrations, Paintings, Prints Available, Uncategorized and tagged A Word A Day, Acrylic, Alphabet, Art, AWAD 2018, Cat, Flame-Point Siamese Cat, Leah Palmer Preiss, Letter, Velutinous, Velvet, Velvet Curtain, Victorian Decor, Voluptuous, Volute on 2December 2018 by Leah.